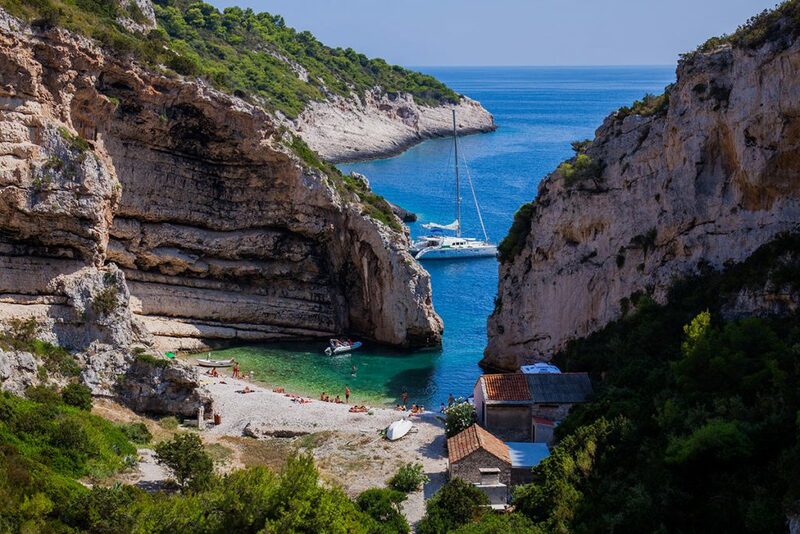 If you want to enjoy the sound of waves crashing and the tranquility of lush green forests without being surrounded by a big crowd of tourists, then Vis Island may be the ideal place to visit off the Dalmatian Coast. This Croatian island is much further away from the mainland compared to Brac and Hvar. In fact, the boat trip from Split takes over two hours. It is also the most pristine of all. Having been the home to a military base until the late 1980’s, it never saw a major boom in population and modern construction. What can you see and do there? Let’s find out. The Town of Vis is the major tourist destination on the island. You will arrive at its harbor if you take a boat from Split in approximately 2.5 hours. The harbor promenade, old Venetian architecture and inviting cafes and restaurants make the town a great place to stay. 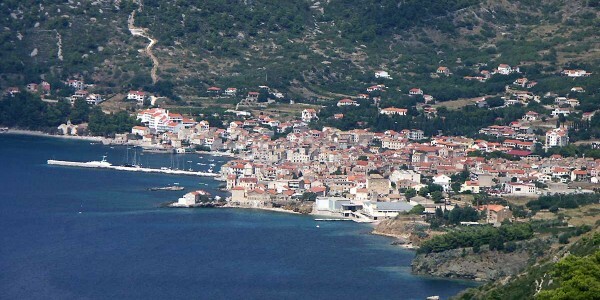 Komiza is the other major resort town on Vis Island. It’s actually a fishing village which has grown enough to accommodate the increasing number of tourists. It’s on the west side of the island and the starting point of boat tours for exploring the local area. 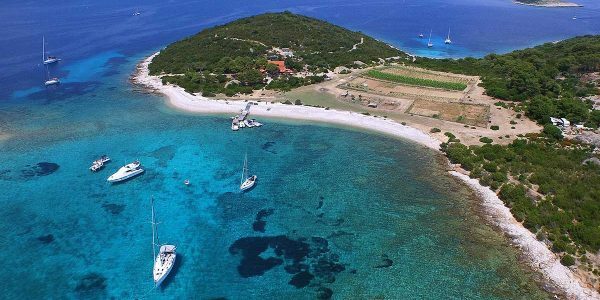 Vis Island has a great number of unspoiled beaches, but some have gained more popularity than others. 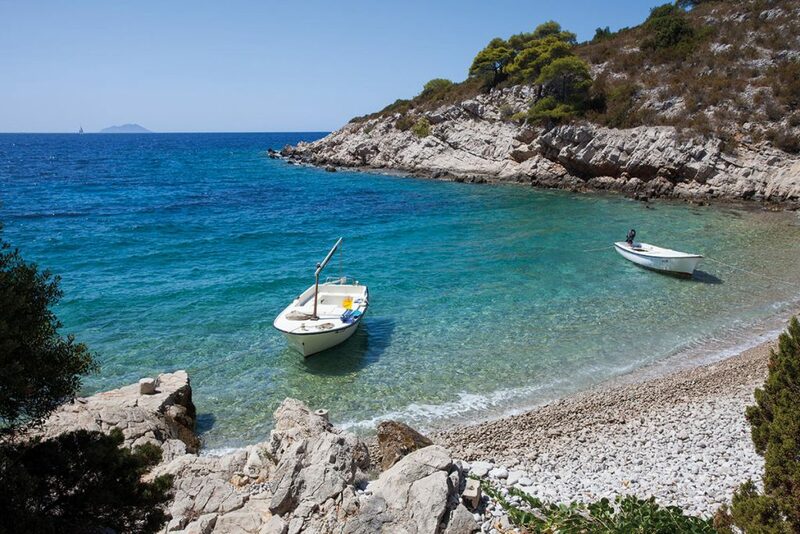 Stoncica Beach is in close proximity to the Town of Vis in a secluded bay. It is one of the few sandy beaches on the island and this makes it quite popular with families. 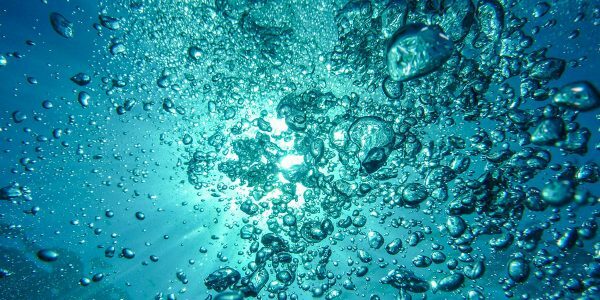 The crystal clear shallow waters are ideal for swimming and playing. Milna Beach is further away, but has sand, so it is another great choice for holidaymakers with kids. 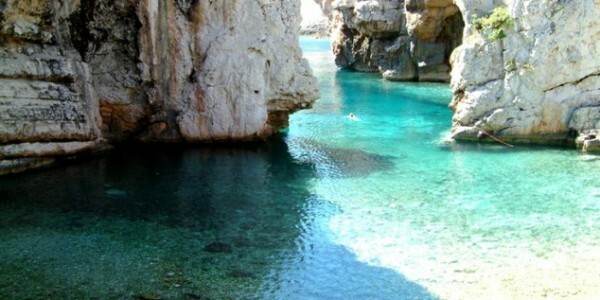 Stiniva is undoubtedly the most spectacular beach on the island. 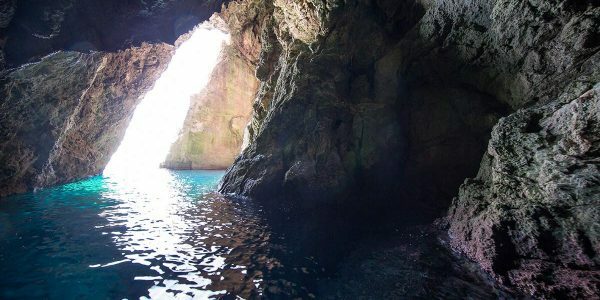 It’s incredibly small and surrounded by a ring of tall cliffs with an opening, which is large enough for boats to pass through, in the middle. You will undoubtedly have an incredible experience at that beach, no matter whether you visit it by car or by boat. The water is great for swimming and snorkeling. You can take some of the best photos from high up the hill. 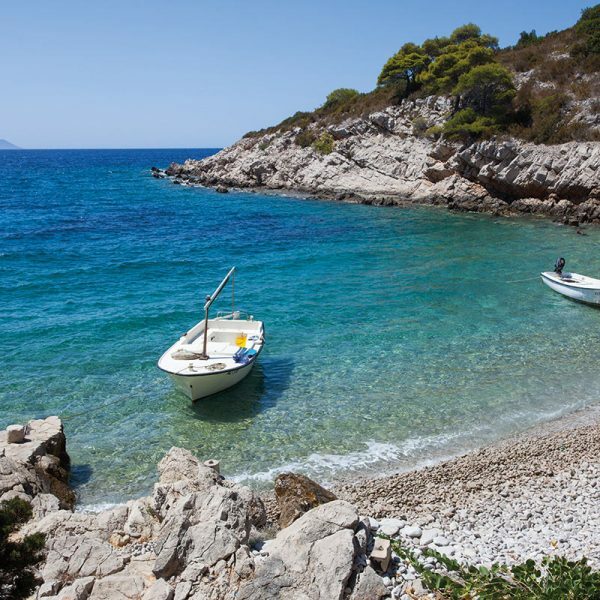 For those staying in Komiza, Komiza Beach is the obvious choice. It is practically within the village and is quite big too. It gets plenty of sunshine and the water is quite calm which guarantees that you will have a good time. The Town of Vis has a range of popular historic attractions. You can explore the walls of the Ancient Roman city along with the public baths built near them. The archaeological museum housed in an old fortress has very interesting artifacts. St. Jerome’s Church and Monastery is another place of interest. 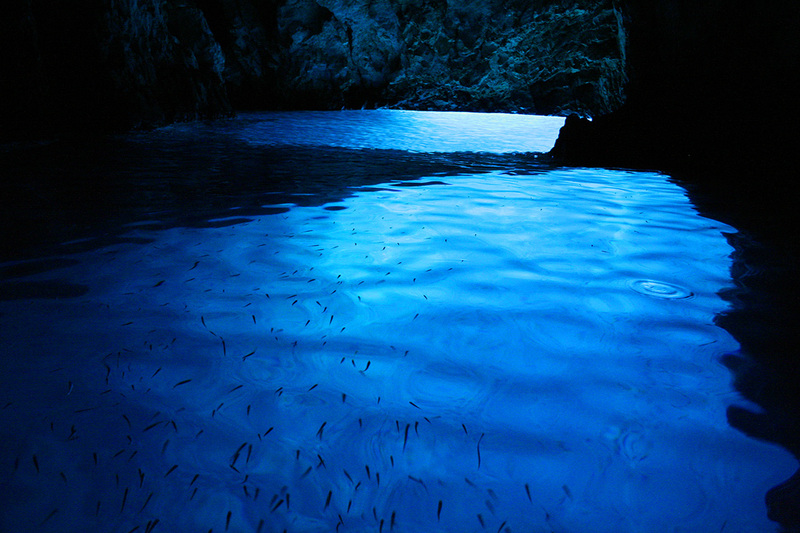 Green Cave is among the most impressive natural sites on Vis Island. You can reach it by boat or by kayak, but not on foot and this is also part of its appeal. 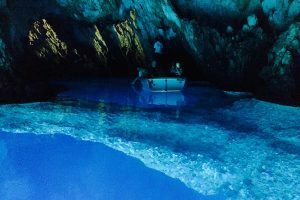 The water has carved a considerable amount of space inside the white cliffs, enabling visitors to swim and kayak to explore the cave. 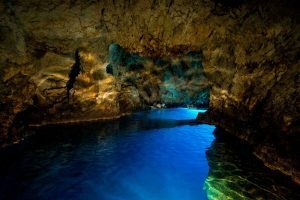 Keep in mind that from 2017 the entrance inside the Green Cave is being charged (currently at 10 Eur per person). 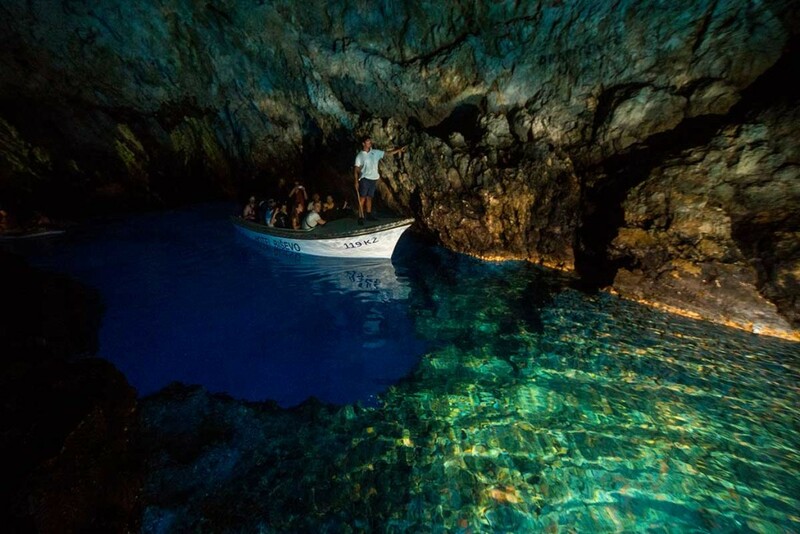 Bisevo Island is just a short boat ride away from Komiza, but boasts with awesome beaches and the popular Blue Cave. The boat tour of the cave is a truly magical experience which you should consider including in your itinerary. 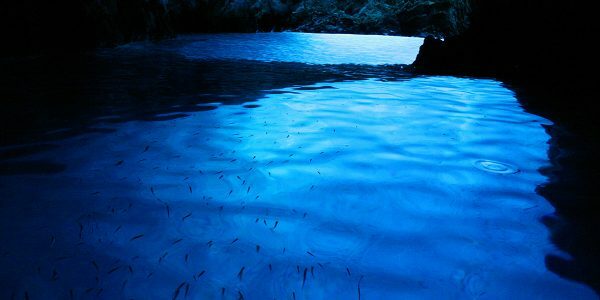 Take a chance to visit the “Forbidden Island” – magnificent Vis. 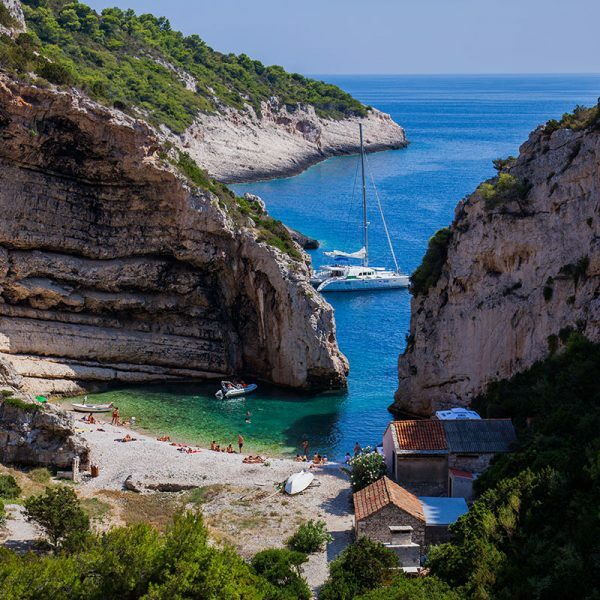 From the end of World War II until 1989, due to military regime of Marshal Tito, Vis was a place where outsiders were not allowed. Find out more about its strategic location as the island furthest from the mainland, due to which it was transformed into a military base. 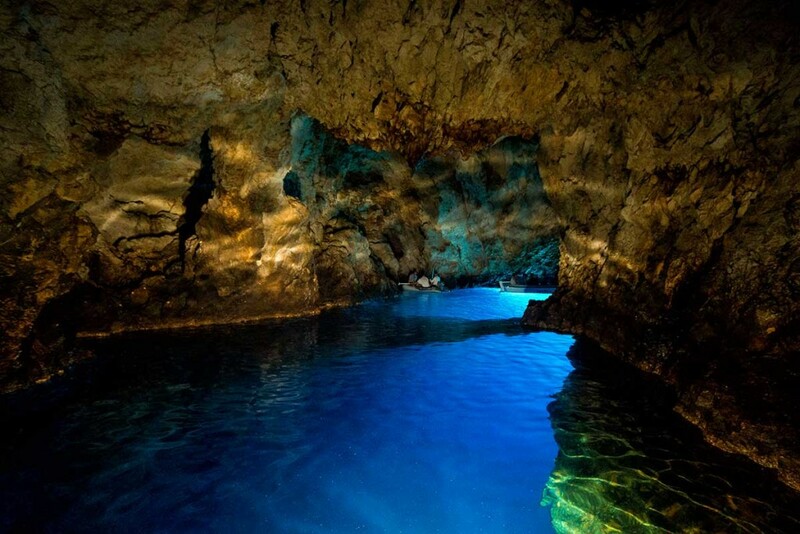 It is said that Vis is the finest gastronomic destination on the Croatian Adriatic. 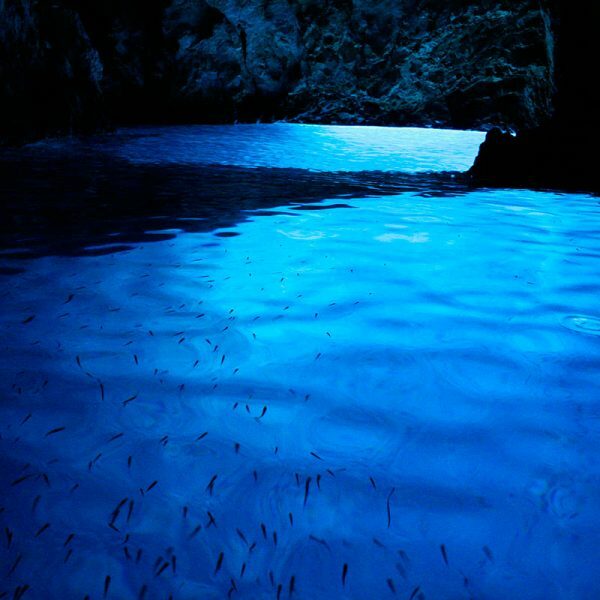 Let us combine gastronomy with nature by taking you to the other major attraction in Vis – the famous Blue Cave that will leave you amazed and ensure you take home beautiful memories. Come and check why Vis has been described as one of the top 10 small islands in the world! 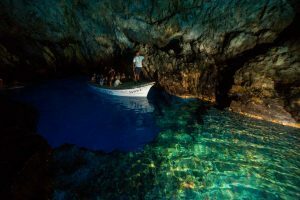 If you love water sports, you can try scuba diving off the coast of Vis Island. There are plenty of great spots steaming with colorful fish swimming around the corals and sponges. You will have a wonderful experience. The island has a small-scale, but well-developed wine industry making wine sampling one of the most popular activities with tourists. The sweet white wine Vugava is the most famous produced on Vis. If you prefer red wine, don’t miss out on the opportunity to try the locally made Plavac. The period from June to August offers the best weather and this makes it the peak tourist season. 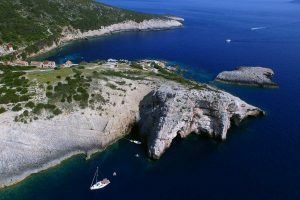 Since accommodation isn’t as abundant as on the other popular islands off the Dalmatian Coast, you should consider planning your trip to Vis Island well in advance. It’s a fantastic place to get blissful rest.